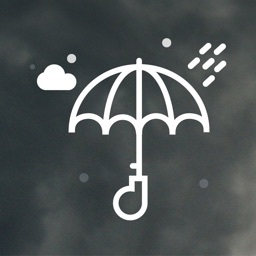 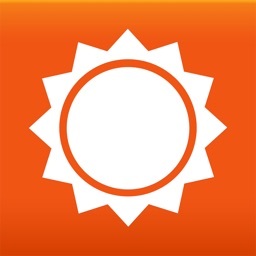 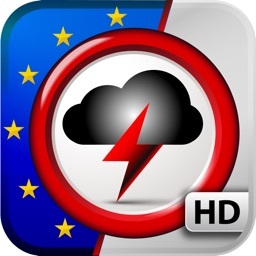 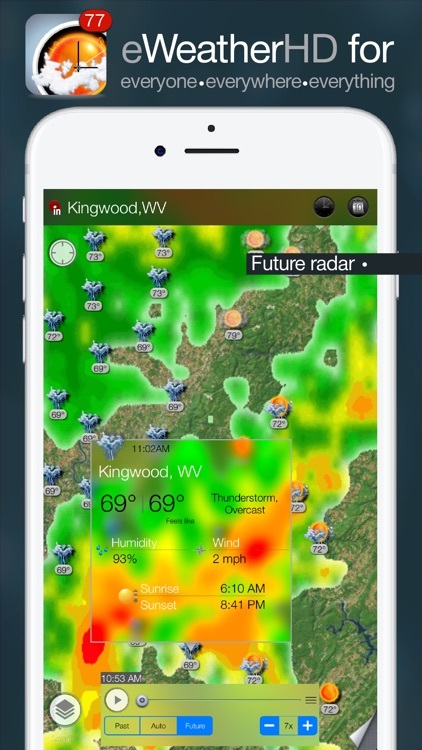 eWeather HD has an impressive amount of information in an unfortunately confusing package. 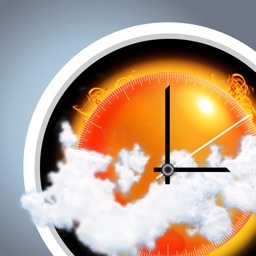 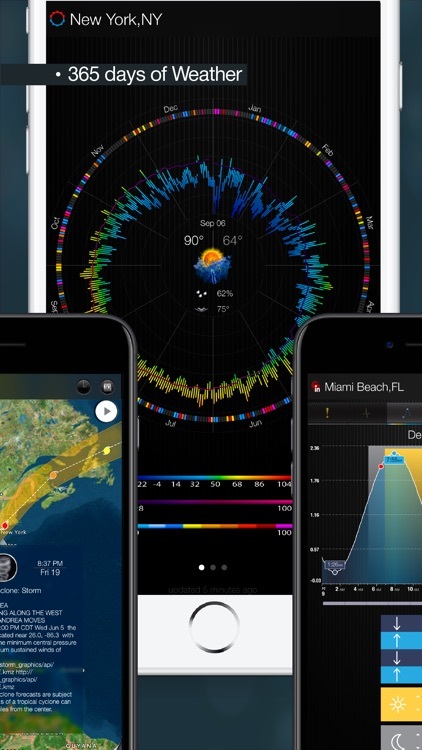 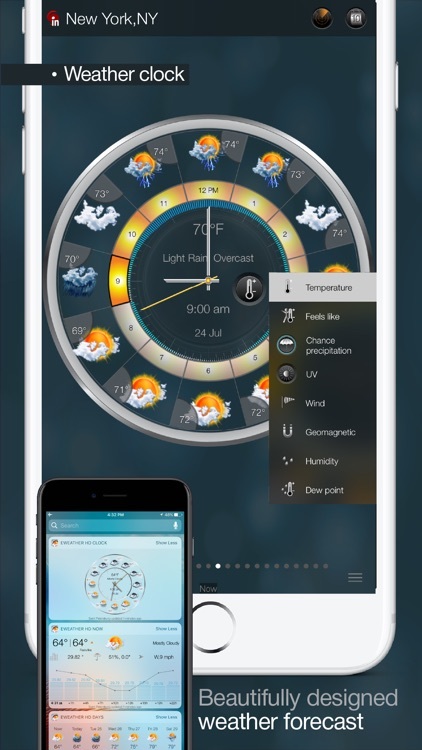 The app stands out from the rest by using graphs and displaying the hourly forecast as part of the hours in an analog clock! 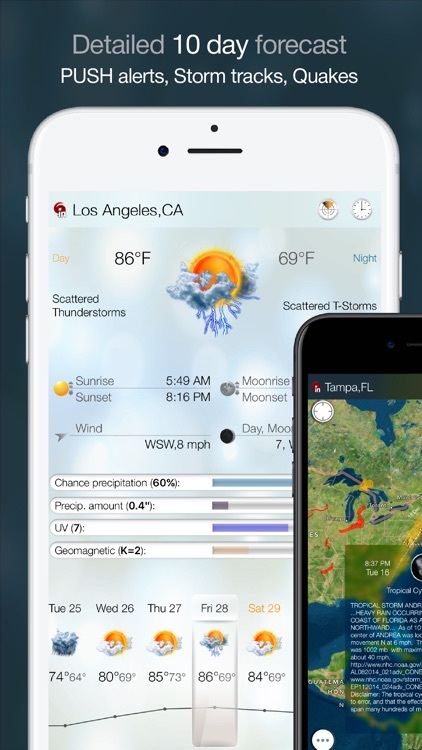 It also has maps, information about earthquakes, weather alerts, and possibly more. 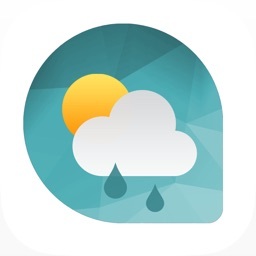 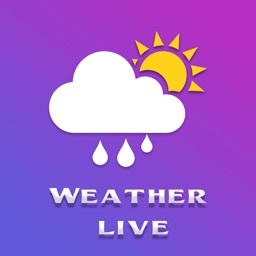 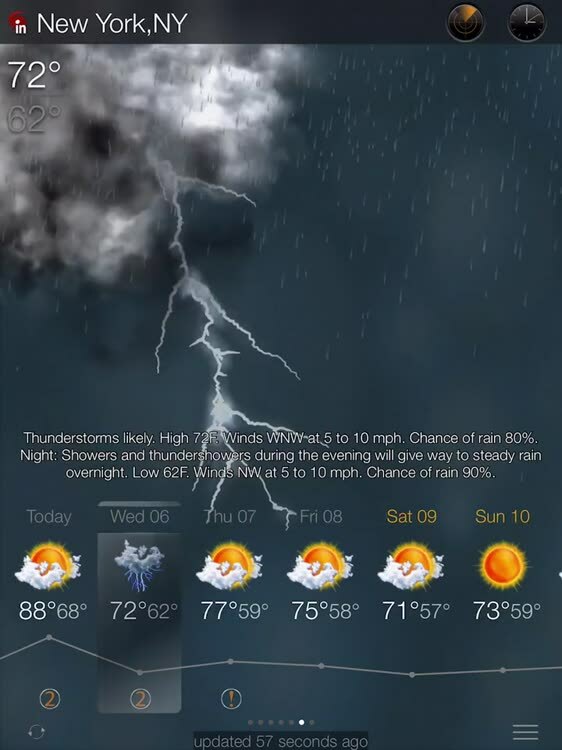 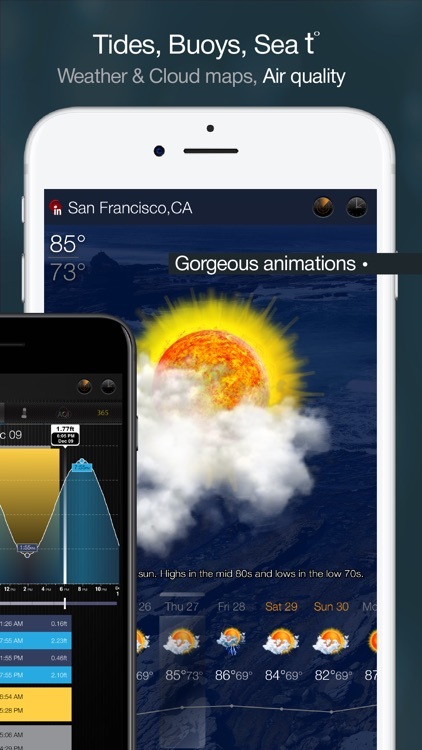 eWeather HD needs a tutorial or a thorough manual to explain exactly how it works and how to customize it, because then its true potential can be realized.